Cool tattoo vector designs pack. 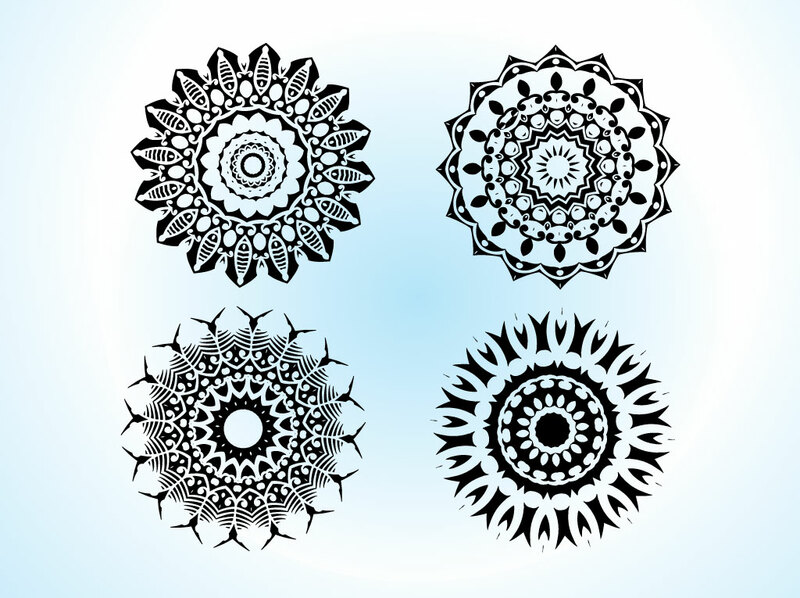 Four decorative and ornate vector graphics come in this tribal tattoo stock footage bundle. Each is exotic and has elements of tribal art, flowers, feathers and Eastern influence. Free download for your tattoo designs, abstract logo emblems, desktop icons and custom website navigation. Tags: Composition, Decal, Decoration, Feathers, Floral, Ink, Organic, Sticker, Tattoos.